Russ Miller is one of LA's most in-demand studio musicians. 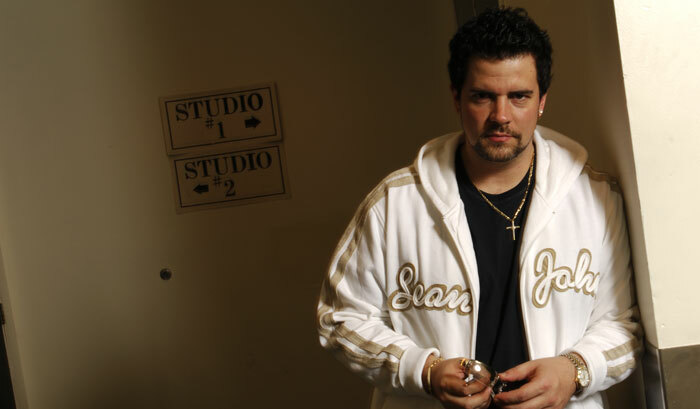 He's recorded with an incredible range of artists, from Tina Turner and Ray Charles to Nelly Furtado and Hilary Duff. He has performed on numerous major film scores like The Hulk and Resident Evil. He's produced his own solo albums, has written an awardwinning line of instructional books and DVDs and has been an international Yamaha clinician for over 15 years. 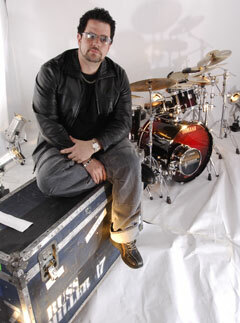 And through Yamaha, he has created some of the industry's most innovative drum accessories. Being a session player is hugely rewarding, says Russ: "I love the fact that if you had a great day at work it lasts forever, imprinted on a record. The history of music is made in the recording of it. You really have a chance to create something that affects people. And I love the honesty of recording--you can't get away with anything substandard. In the studio, you've got to be on your game with every single note." The history of music is made in the recording of it. You really have a chance to create something that affects people. There's a big difference between being a good drummer and being a good musician who plays the drums, Miller says. "Sometimes you'll see guys who have a lot of facility on the instrument, but that has nothing to do with playing music on the instrument. As a session drummer, you're there to serve the composition and the artist, not do the most incredible drum fill or the fastest double-bass thing. You've also got to read music really well, and you have to have a personality that people like dealing with--you can't walk in there like a rock star!" Russ's standard kit is a Yamaha Absolute Nouveau drum kit--but it's unusual in one respect. "The toms are birch, and the bass and snare drums are maple," he says. "I found that the maple bass drum has a lower fundamental. I can get a little bit more of a musical tone from it. Instead of going thump, it's more of a doom sound--to my ear, it's more musical." Miller has been deeply involved in creating several Yamaha signature percussion accessories. "These products stem from me working every day and discovering things I need in certain situations," he says. "For example, the RM Groove Wedge came out of a Christina Aguilera session where the producer wanted me to use a 12" snare but play cross-stick on the verses. Well, a 12" snare's diameter is so small that you can't get to the sweet spot of the drumstick to play a nice cross-stick sound. I thought, 'man, I wish I had a piece of nice, fat vintage wood hoop that I could just stick on here to get that sound', so that's what we made. I actually built the first version myself. The great thing about Yamaha is that they're so open to listening to musicians and facilitating their ideas. I took the wedge in to them the summer of that year, saw prototypes by November, and it was released at the NAMM 2005 show in January! They really have open ears when it comes to working with musicians." Russ followed a similar path in developing his SKRM-100 Subkick. "I do a lot of contemporary records, and it's always a challenge getting the drums to stand up to the programmed sounds the producers would come in with," he says. "Like with Dr. Dre or the Nelly Furtado records--it's really hard to match those humungous samples and get that presence onto tape with live drums. So we'd use an old recording trick of taking the woofer out of a speaker cabinet, hanging it on a mic stand in front of the kick and just wiring it up like a huge microphone. It works, but it was a little muffled-sounding. I thought I would mount it in a drum shell and add resonance to it, and also be able to control the pitch a little. Once again, I made a prototype at home and then took it in to Yamaha. That Subkick has been awesome--it's the biggest-selling signature product in Yamaha history! And to see heroes of mine like Steve Gadd using it has been really cool." Given all the great sessions Miller has done, he finds it difficult to pinpoint the most memorable ones. "Working with Ray Charles was definitely one," he says. "Cher. And, of course, Tina Turner. As soon as I heard her singing, I was like, 'Okay, she's awesome--that's why she's Tina Turner!' Doing movie scores is great, because you get to be in the big room with all the strings and brass. But I love pop records, too, because they're looking at you going, 'Please play something that will make this a hit!' Along with the melody and the lyrics, the drums have the biggest effect on the success of a song. When the groove's there, it just draws people in."